Whether you have bought a puppy or adopted a rescue dog, taking a dog to the park for the first time can be a nerve-wracking experience. 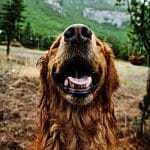 Until you have forged a bond of trust and companionship that means your dog will return to you when you call them, and you can be confident that your pet will not behave aggressively toward their fellow canines, you’ll need to watch your dog like a hawk. It’s always worth persevering through these troublesome early times though, as watching your dog frolic through the park having the time of their lives is one of life’s simplest pleasures, and proof that the best things in life are free. This article will talk you through the problems that you may experience when taking a new dog to the dog park, and ensuring that they stay safe throughout their playtime. 1 Is My Dog Ready for a Dog Park? 2.3 How Long Should You Stay at the Dog Park? Is My Dog Ready for a Dog Park? If you’re wondering if you should take your dog to the dog park, you should follow the advice of Petcha. 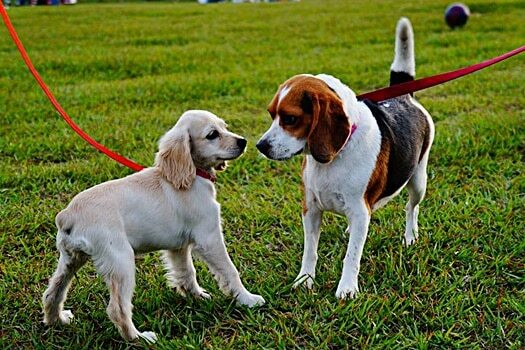 Have you scoped out the dog park in advance, and feel secure in the knowledge that the canines and humans that currently use it are a safe and friendly melting pot for your pet to enter? Visit at different times of the day to get a feel for who tends to be in residence and when, so you do not inadvertently take your small dog into the land of the giants or vice versa. Do you have a recall command for your dog that works so that you are confident that if you take your pet off-leash, they will return to you if you instruct them to do so? Does the park accommodate both your needs and those of Fido? By this, we mean is there enough space to play ‘fetch’, for your dog to race their way through an obstacle course, and a shaded area and other facilities for you so you can sit down and take a break. If you answered yes to all the above questions, then it sounds like you are ready to embark on your dog park adventure. You’re about to start a new ritual that your pooch will love. However, there are things to check off before you take your dog into their new second home for the first time. 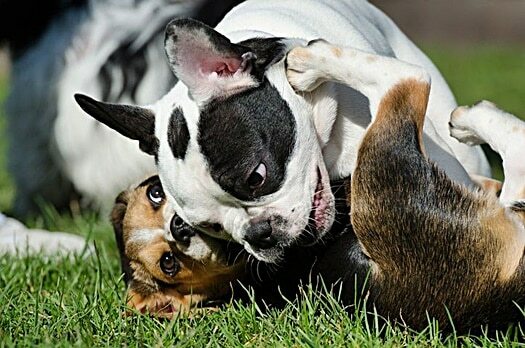 If your dog is not used to playing with other animals, it may be a little overwhelming to be suddenly faced with countless dogs at once in the park. If you have friends and family members with dogs of their own, bring them over to the house or take your dog to see them. They will soon learn how to play appropriately, which will stand them in good stead. If you take them to the park too soon and without any understanding of canine social cues they’ll quickly get scared, which could be mistaken for aggression. Don’t take your puppy to the park until they have had all of their essential vaccinations. You never know who or what is in the park (and we don’t just mean other dogs here – all kinds of wildlife could be running around the park during the nocturnal hours). Your puppy will no doubt delight in rolling around all over the park to get that exciting new scent all over themselves. To this end, if you don’t want your first trip to be your last, you should also make sure that your dog’s flea, tick and worm treatments are all up to date. If you are going to unleash your dog in the dog park, you’re going to have to make sure they will come back to when you call them. Practice playing in an enclosed area such as a yard or a tennis court, and find out attracts their attention. You may find a dog whistle is more effective than just shouting for an excited dog – they hear their name a hundred times a day and may develop selective deafness if they are having fun on their first trip to the park. If your dog is a basket case of energy they might end up irritating other canines that are most established within the park’s social circle, and that’s not the ideal way to make a first impression. If your dog has already got out the majority of their nervous energy, they are more likely to mosey their way in and be welcomed by the pre-formed cliques. If you’re co-parenting your pooch, you may well end up doing everything together. Likewise, if you have more than one dog in your family, they are likely to form a pack and spend every waking moment together. When it comes to a first park experience, however, take your dog alone. If they have another hound to fight their battles for them, they will never learn to stand on their own four feet. If you head along with another human, your dog may struggle to focus on which of you they should listen to. We’re not saying that you need to dress your dog in orange robes and make them a zen yoga master, but try to calm them down before you enter the park for the first time with gentle strokes and soft speech. Their instinct will be to go crazy with excitement at all these new sights, sounds, and smells – try to temper that by keeping them cool until they have their bearings. Once you get to the park, take your dog off the leash somewhere calm and quiet. You can then walk them gently into the central part of the park, where they can start their playtime. The first time your dog visits the park they’re likely to be a bundle of nervous energy, so don’t take them off their leash surrounded by other dogs – they’ll leap headfirst into a pile of pooches. 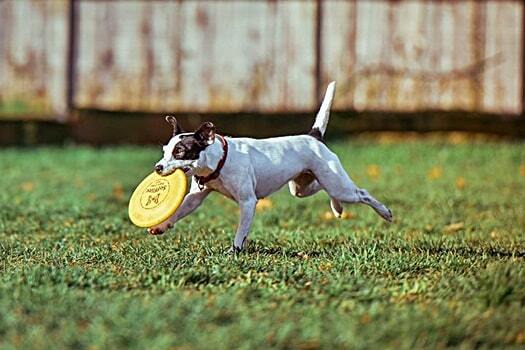 It may be tempting to take your dog’s favorite toy or ball, so they feel at home in the dog park. Alas, some dogs struggle with boundaries – and another dog may bound over and take your pooches beloved toy away from them if they take a shine to it. This will result in your dog being left heartbroken or becoming aggressive and territorial, and neither are great first experiences for a new location. Dogs are like young children – they’re hugely mischievous and likely to get up to all kinds of things that they shouldn’t the moment your back is turned. You don’t want a reputation as a slack pooch parent, so don’t take your laptop and work while your dog plays, or spend the entire time updating your Facebook status on your smartphone. Watch your dog and make sure that they’re comfortable, happy and behaving appropriately. Be prepared to step in quickly if they get out of line with another canine or look like they’re being bullied. You want your pet to have the time of their lives while they’re in the park as that’s the whole point of you going, but make sure that you’re having a good time too. If you’re bored, frustrated or otherwise irritable, your dog will pick up on that and consider the park to be a place of stress. Don’t take your dog for the first time until you have the time and the headspace to let them make the most of it. There are many rules, both written and unwritten, that most dog parks will operate under to make sure that everybody can enjoy their experience. Don’t Take Food to the Park. Some dogs are extremely focused on food and treats, and a stranger carrying their favorite snack can cause anarchy. If you don’t want to attract every dog in the tri-state area to your spot on the park bench and attract the ire of owners that have their pets on a stringent diet, avoid waving food around. Keep Your Dog to Size-Appropriate Areas. One of the great things about dogs is they rarely notice any difference in size and look between them – all they think about is play, especially in the park. However, dropping a bigger dog into a part of the park dominated by small breeds may cause chaos as the larger dog underestimates their strength. Don’t Allow a Leashed Dog to Approach Free-Range Canines – and Vice Versa. If your dog is on a leash and a pack of other dogs asks him or her to play, they’re going to want to run – and that can be dangerous when they’re attached to a lead. Not only does it lead to a dog straining on the lead and potentially choking, but other canines and humans may trip over the lead. Likewise, sending an excitable, unleashed dog into a territory occupied by dogs on leads will wind the restrained canines up and frustrate them as they can’t run and play with the same freedom. Always keep things like for like. Don’t Be Afraid to Correct Another Dog’s Behavior. Sometimes another dog will misbehave in your presence, usually unintentionally. There is nothing wrong with offering a gentle rebuke to the canine in question (as long as you do not use physical force or abusive language), and you should extend other dog owners the same courtesy. If your dog is approaching theirs and behaving aggressively, attempting to mount them, stealing their toys or anything else that’s deemed to be undesirable behavior, another pooch parent should be permitted to rebuke your pet gently. They won’t mind, and it means that everybody will enjoy their time in the park. Pick Up After Your Dog. This should sound obvious, but when your dog relieves himself or herself in the park, then you should be quick and vigilant about picking up after them. A reputation as a poop-dodger is a tough one to shake, and it’s one of the worst things that anybody can call a dog parent. Don’t take the risk – be well stocked with poo bags, or ask for one if you have run out. Don’t Bring a Sick Dog. As we discuss in our article on whether a dog can catch a cold from a human, canine germs can be shared like wildfire among dogs. You wouldn’t turn up at work coughing and spluttering over your colleagues, so you should extend the same courtesy to other dogs. If your pet is feeling under the weather, keep them home until they have made a full recovery. Don’t Bring Children or Other Animals. Kids love the park, and cats enjoy being outside – but dog parks are no place for either. This is a space for your dog to be a canine, to embrace their instincts, and to do whatever comes naturally to them – having a great time while doing so – without having to worry about being told off for chasing other animals or hyperactive children. There are hundreds of places that kids can play that dogs aren’t welcome. Let our furry friends keep this area for themselves. Until you have to undertake some correctional training exercises with your dog, you should keep them away from the park. Aggressive behavior toward other canines will not be tolerated by other pooch parents, and you may find yourself being reported to a warden. Remember, however, that any aggression is almost entirely borne of fear on behalf of your dog. We offer advice on what to do if your dog keeps attacking another dog, and if you’re particularly unfortunate and come between two warring canines, you can be assured that swelling is normal after a dog bite. Speak to a vet or a behavioral specialist if your dog seems increasingly determined to act with aggression while they’re in the park, as they may be able to help you get to the bottom of the triggers of such behavior. It’s very rare that a dog can’t be retrained with the right help and advice – and plenty of kindness and patience. It’s completely understandable that your puppy will be a little scared of the dog park when they are first introduced to it. They will have adjusted to being separated from their mother and sibling pack to their new life, but now all of a sudden they’re meeting a whole new range of animals that they need to ingratiate themselves with. Try taking your puppy to the park early in the morning or later at night, when there is nobody else around. Take your dog off the leash and let them have a good old sniff around. This will settle their nerves a little, as they’ll pick up the scents of other dogs without them being around. This means that the next time they see these animals, they will be a little less frightened. Perhaps best of all, your dog will be able to use the bathroom and mark some territory for themselves – in turn, making their scent familiar to other dogs. 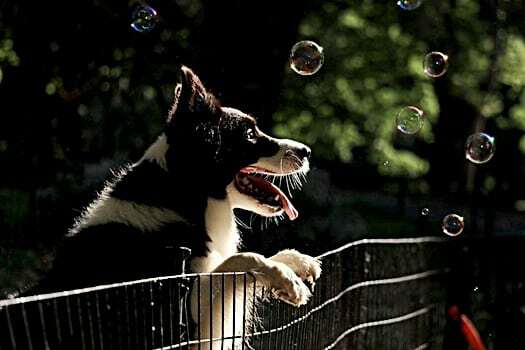 Keep your pet alongside dogs of similar size and mentality, and you’ll soon find that they overcome their fear of the park and start to see if for the fun factory that it is. 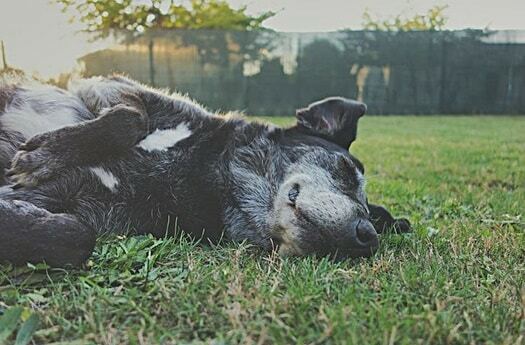 How Long Should You Stay at the Dog Park? This depends on the circumstances of yourself and your pet. Is your dog getting over stimulated? If your dog gets overexcited, it will be akin to feeding vast amounts of sugar to a toddler, and you’ll pay for it when you get them home. Is the amount of running OK for that breed of dog? If you have a small dog with a big heart, there is every chance they will keep pace with the giant dogs in the park while playing. This is cute to watch, but adrenaline only goes so far. Your dog could do permanent damage to their legs and other muscles if they attempt to match a larger breed stride-for-stride for too long. Is your dog behaving worried, frightened, aggressive or in any other way suggesting that they are uncomfortable? If so, remove them. It may just be a temporary reaction, but you don’t want to create a negative association with the park. You can always try again later that day, or on another occasion. What is the weather like? If it the sun is blazing down, it may be risky to allow your dog to run around too much and become dehydrated, even if there is a ready supply of water on hand. Remember to give your dog breaks in the shade to prevent them from overheating. If this does happen, you should follow this advice on what you must do if your dog is dehydrated. Have you had enough? Remember that, as much as this trip to the park is for your dog’s benefit, it will be soured for Fido if you are fed up and not enjoying yourself. If you have work to do or are feeling under the weather and would rather be anywhere else, your dog will pick up on that, and it will impact on their enjoyment. Consider hiring a dog sitter to take them to the park. Only you will honestly know how long is appropriate to spend in the park with your dog, and it may be a matter of trial and error until you find the sweet spot. Once you do, however, you will have a routine in place that will keep your pooch happy for years to come. When you find a dog park that appeals to both you and your pet, cherish it. Follow our advice before introducing your dog to the park for the first time, and you will not encounter any issues.